Mr. Trotman, served as the head of the AM&C and RCC, since their inception. He has been with the CIMH since 1991, with particular focus on Agrometeorology and drought early warning and mitigation. Dr. Meerbeeck has been with the AMCS since 2011. Apart from his teaching and research in climate processes, Dr. J. Van Meerbeeck has been instrumental in re-establishing and leading the Caribbean Climate Outlook Forum (CariCOF). 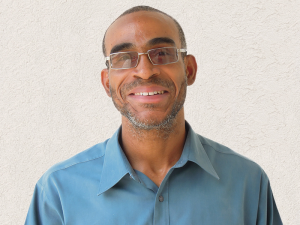 Mr. Moore has been with the CIMH for almost 30 years, with dedicated teaching in mathematics and physics and many aspects of meteorology in the professional courses. His current area of focus is in development of drought products. 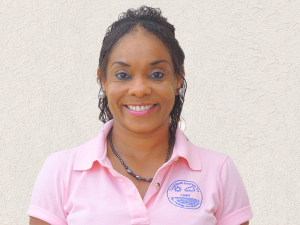 Shontelle Stoute has been Technical Officer I with the CIMH since 2013 where she provides technical support to the Applied Meteorology and Climatology section. 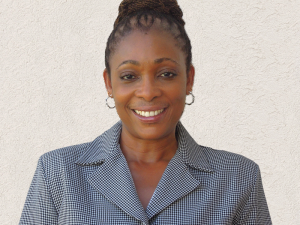 Mrs. Stoute oversees the Caribbean Society for Agricultural Meteorology (CARISAM) portal; assists with the production of monthly climate forecasts for the Caribbean Region; provides tailored climate information for the agricultural sector; prepares reports for various activities and workshops of the Applied Meteorology and Climatology Section; and assists with the RCC’s social media platform. 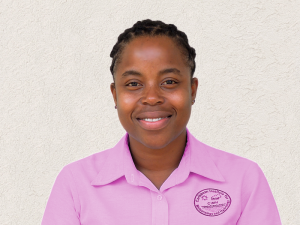 Mrs Stoute also provides teaching support to the Meteorological and Hydrological sections of the CIMH in the area of Mathematics to the Senior Level Meteorological Technicians, the Entry Level Meteorological Technicians, and the Diploma in Hydrology. 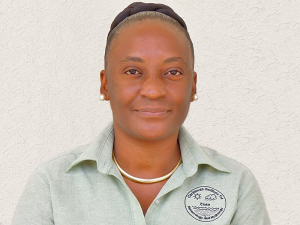 Mrs. Kirton-Reed is responsible for the teaching of Statistical course at all levels and the practical sessions of Agrometeorology using INSTAT. She assists with production of the drought and temperature anomaly maps as well as precipitation Outlooks and the drought bulletin. She takes part in research conducted in RCC. She also provides assistance with the taking of weather Observations. Mr. Depradine serves as the Data Manager of the RCC, with responsibility for the regional climate data archive of CIMH. He is responsible for maintenance and updating of the RCC website. He also acts as a weather observer, providing support to the core team of observers. Ms. Agard currently provides technical assistance in climatology with data management, verification as well as daily weather observations. Being Supervisor of Observations for the last 5 years, she is responsible for the scheduling and coordinating of school tours. 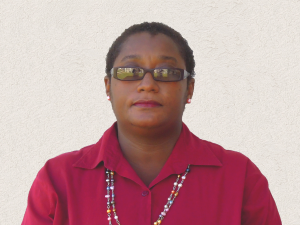 Sherika Alleyne has been with the CIMH since 2011 with the CDB project. Since the conclusion of this project Ms. Alleyne has been providing technical assistance to the Institute from 2014. She is a member of the core group of Meteorological Technicians. She currently assists with the management of the RCC website as well as the CariSAM portal. She also aids in the management of the WMO Sand and Dust Storm Warning Advisory and Assessment System (SDS-WAS) website hosted by CIMH and also the development of the Nonhydrostatic Mesoscale Model (NMM) website. Ms. Alleyne is a co-facilitator of CIMH’s annual summer camp and assists with the coordination of the RCC’s social media platform. Sharon Roach has been with CIMH’s AM&C department since 2010. She assists with weather observations, data entry/verification and school tours. Andrea is currently Administrative Officer to the Agrometeorology and Climatology Section and provides administrative and financial management support for its programs and projects.